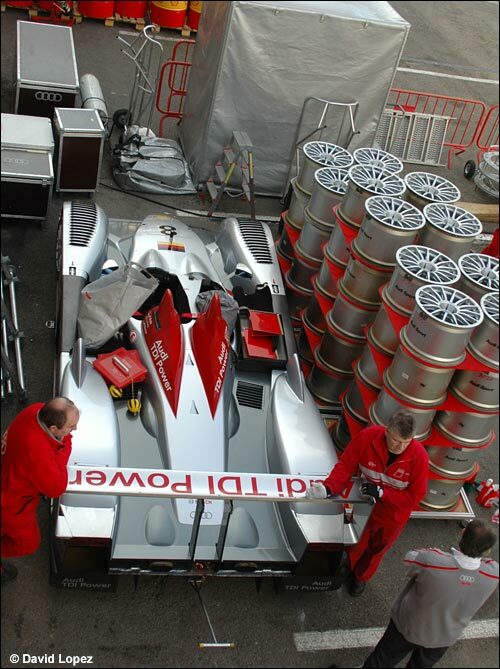 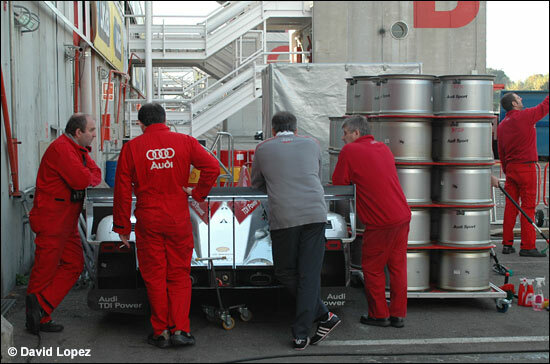 David Lopez happened to be at the Spanish track today, and stumbled across Audi Sport preparing for a test at the circuit, starting tomorrow. 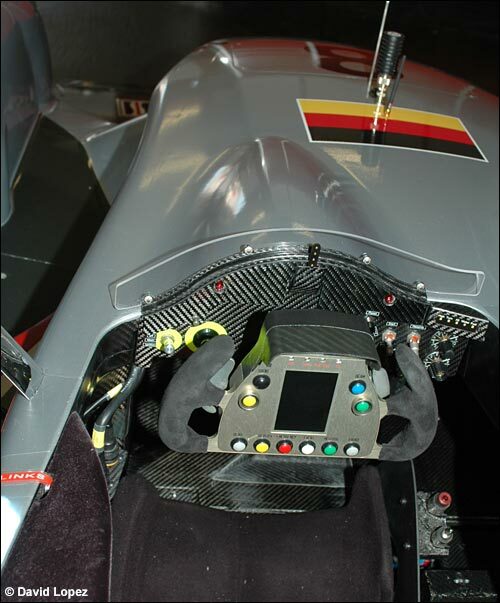 It was made clear that he wouldn't be welcome at this private test - and Audi is in the habit of not releasing details of its testing progress.. but it would be very interesting to find out who is about to drive the R10. 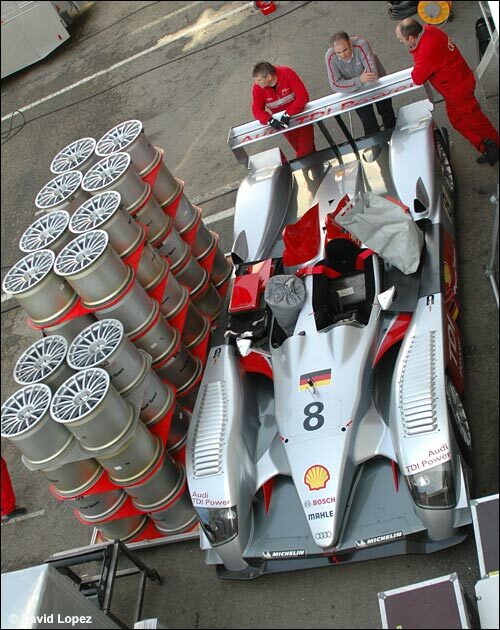 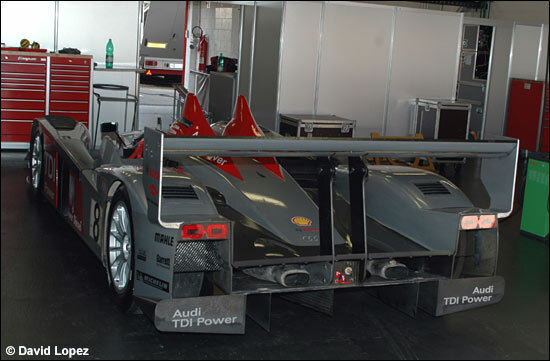 Only Tom Kristensen's name is written on this particular car. 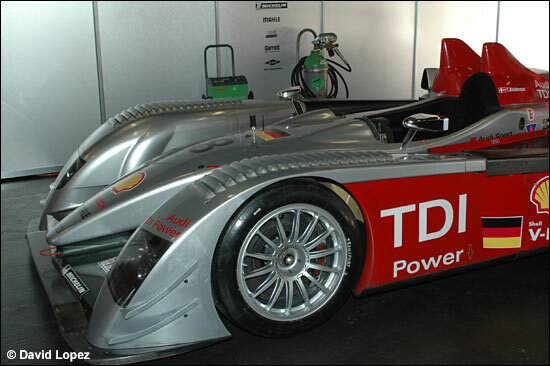 The Audi R10 TDI won the "Pioneering and Innovation Award” at last night's awards evening in London, for the most important innovation of the 2006 motorsport season. 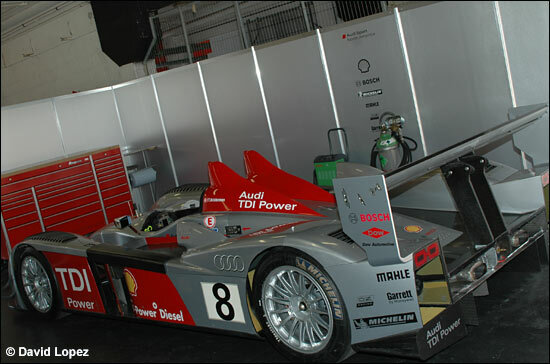 Head of Audi Motorsport Dr Wolfgang Ullrich accepted the prestigious trophy.